Crochet ‘catch up’ rather than crochet design is all I ever seem able to achieve these days. It is Summer here in the UK and I think perhaps Autumn and Winter are my favourite crochet seasons. I prefer soft woolly yarn to cotton and wool is much too hot to crochet with in the summer. Crochet has been sparse lately! I guess I am working up to admit to you that there has not been much hooking going on around in these parts lately! It is intended for my son and I plan on edging it with a few masculine looking stitches. Using a size 5mm hook and so far, each quarter has used up exactly two Caron cakes each. Therefore, if I had bought all the yarn in the UK it would have cost me £40.00 in total so far. However, as I have just returned from Florida I made sure to visit Michael’s, an American craft store (a bit like Hobbycraft but better) and purchased 2 cakes for $4.99 each. I wish I had bought more! 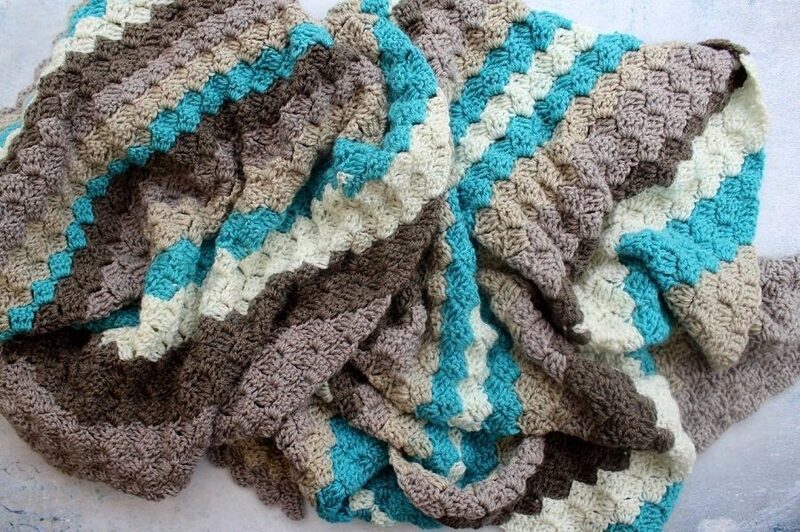 It looks as if this blanket when completed will cost me over £100 and yes, it is very large and yes, it is handmade, but I am simply not used to spending that amount of money on crochet projects shoes yes but not yarn! I do hope when it is finally finished that my boy likes and uses it? I think he will I recently found the quarter I made in Florida on his bed! In my head, the plan goes something like this…complete one c2c quarter monthly. 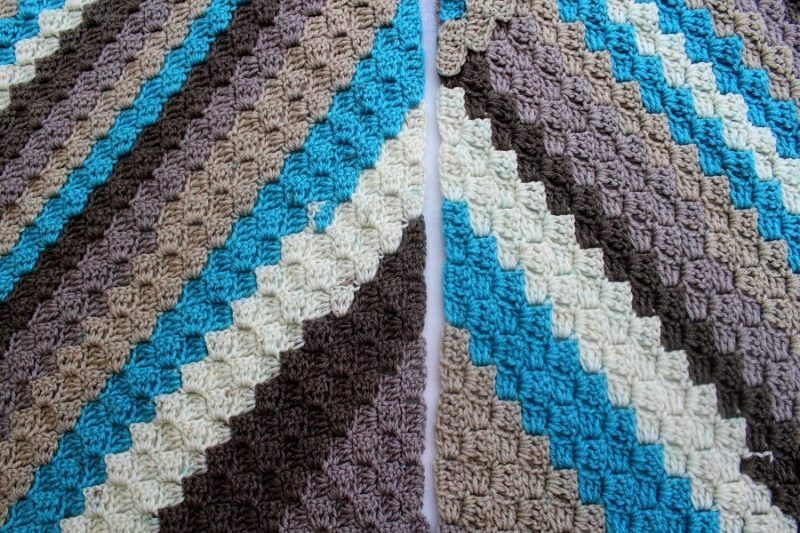 This way I spread the cost and have a project for at least five/six months if I add in a month to join it and a month to work the edging. …I am simply not used to spending that amount of money on crochet projects shoes yes, but not yarn…! Previous Post An Elegantly Casual Outfit for Supper at the Pub. Ok here is what I always say about the money spent on hobbies. There are a lot worse things you could spend money on. And the time spent on the hobby is cheap therapy. I used to buy expensive yarn, but now our crochet group goes in together and orders kits from wool warehouse for blankets. We love them. And they are a lot cheaper. 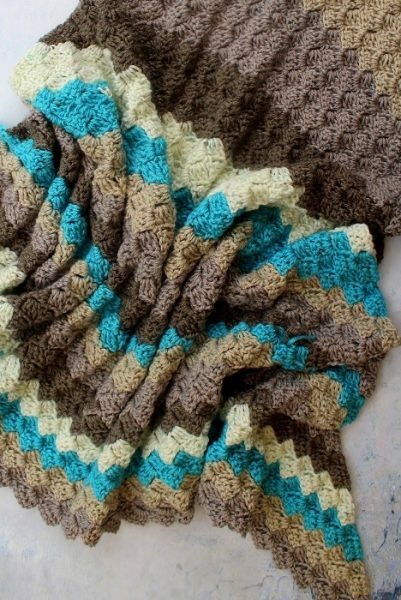 Your c2c blanket is beautiful. I’ve never made one but a couple of the girls in crochet group have and they really turned out nice. Hi Cindy you are so right! Thanks for making me feel better about spending on my hobby! 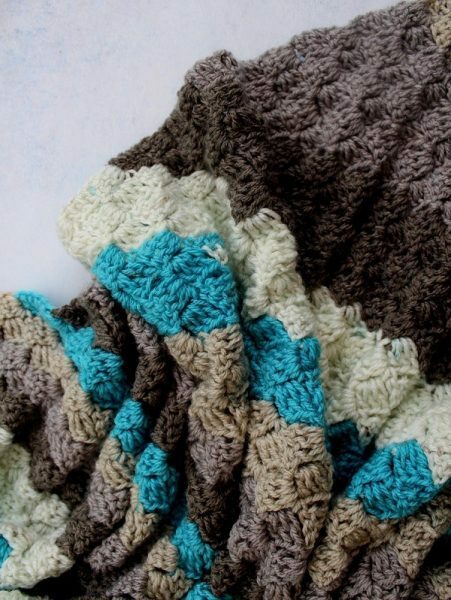 I love those blanket kits from woolwarehouse a super idea to do it together too!